How attractive is Nigeria for oil and gas investment? If you take into account Nigeria’s condensates production, the daily average production is over 2 million barrels. There is a very realistic capacity to upscale the country’s proven reserves to 40 billion barrels within the next few years, so this market will continue to remain attractive for a long time. Even if there are no new oil finds, you are looking at another roughly 45 years or so of supply at current rates. However, when you start to look at the huge gas reserves of well over 5 trillion m³, which ranks Nigeria as possessing Africa’s largest gas reserves, this surely has to be the investment destination of choice and will continue to be. What is the Federal Government’s objective with the organisation of the annual international petroleum summit? The Federal Executive Council (FEC) took the decision to approve the event in its current format with a private sector operator to create an international platform for high-level discussions around the hydrocarbons sector, which helps lead Africa’s response to the current and future challenges in the sector. It is one of the ways Nigeria continues to provide leadership in the sector on the continent. The event, being the property of the Federal Government, also means that all key government decision makers attend; to network, provide answers to burning questions and also, listen to feedback from stakeholders. And with a focus on technology and innovation, the aim is to grow the event into a must attend meeting for unveiling of major technological breakthroughs. We are already starting to see this happen and we at Brevity Anderson feel absolutely humbled, and at the same time delighted to be on this journey with the Federal Government. What is the main thrust of this NIPS2019, the 2nd edition? Issues around oil market stability continue to be on every stakeholders front burner. When you speak to both producers and consumers, you soon get the sense that price volatility hurts both sides. This sort of market instability means that investment decisions are either delayed or in some instances scrapped all together. Since 2014, we have been seeing more and more producers turning exclusively to short-cycle projects, the long-term effect of this will definitely have an impact beyond just oil markets. Within the context of OPEC and APPO, Nigeria continues to play a leading role in driving talks to help stabilise the market. I would like to stress here and at the same time, commend the Federal Government for deliberately taking concrete steps as part of a bigger strategy of bringing down production costs while initiating the right policies to attract additional investment. For example, the Hon. Minister of State for Petroleum Resources, Dr. Emmanuel Ibe Kachikwu announced a roadmap to attract an additional $10 billion worth of new investment into the sector in Nigeria alone. We are seeing a real shift from just talk to tangible action. Against this background and the technological advancement (or lack of it in some regard), geo-political activities and other very existing topics, the event creates the perfect platform to engage stakeholders as the event will take place at different levels; Government-to-Government, Business-to-Business and Government-to-Business. Nigeria International Petroleum Summit (NIPS) 2019 will certainly be the place to be. We are glad to report to you that we have received significant amount of interest from both local and international players, including national delegations from the United States, Russian Federation, Norway, Iran, Ivory Coast, Equatorial Guinea, Gabon, Republic of Congo, Ethiopia, South Africa, India and China. Khalid al-Faliih, the Saudi Energy Minister, during his recent visit to Nigeria, specifically mentioned that Africa and in particular, Nigeria, remains a key partner in forging partnerships and he is looking forward to returning to our great country in 2019 both to the NIPS event and to further deepen the special relationship between both countries. Amongst other international delegates, the Norwegian State Secretary (Deputy Minister) for International Development Jens Frølich Holte also confirmed his participation at the NIPS 2019. What are the highlights of NIPS 2019? The next edition of NIPS comes up between January 27th and 30th, 2019. 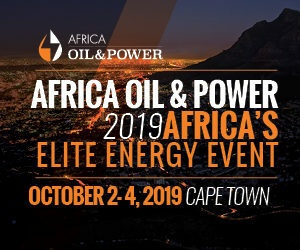 There will be a Ministerial Session, an Executive Round Table, a session on OPEC, Energy Revolution, Offshore& Marine Session amongst other interesting sessions. There will also be some pleasant surprises, I will not be letting the cat out of the bag just yet. However, we are excited to announce that at NIPS 2019, we will be incorporating the Honorary Patron’s Dinner/Awards, where Patrons and Corporates will be honoured during a spectacular evening of business, culture and fanfare. The evening is sponsored by Total. Specifically, how many speakers, exhibitors and participants are you expecting to attend? We are planning for about 100 top-level speakers from both Nigeria and abroad. To date, we have confirmed attendance from over 45 countries with more being expected. We are planning to welcome 3,000 delegates and visitors through our doors. Certainly, NIPS 2019 will be the place to be to make those deals happen. For instance, for capacity issues, we have now decided to move the official opening ceremony of Monday 28th January 2019 to the Nicon Luxury Hotel while the main conference and exhibition will still hold at the International Conference Centre, just next door once the opening ceremony is concluded. How will this year’s edition be beneficial to participants and exhibitors? The event will be attended by top decision makers from both the public and private sectors and staged on a government-to-government, business-to-business and government-to-business levels, thus, there will be something for everybody. What kind of support are you currently receiving from stakeholders, including OPEC? The support has been tremendous. OPEC was at the maiden edition and they will again be attending with an official delegation, along with other key stakeholders in 2019. From organisational point of view, the NNPC under the leadership of Dr Maikanti Baru and as the national host, has been unwaveringly robust in its drive to make a success of NIPS 2019. Our media partners are working round the clock to promote the event in new and creative ways. The Presidency, PEF, PPPRA, DPR, PTDF, PTI, NCDMB have all been tremendous in their support. Then or course, we have the outstanding Honourable Minister of State Dr.Ibe Kachikwu and his excellent team of lieutenants who continue to make themselves available literally round the clock. We have enjoyed the best possible working relationship any PPP partner could wish for. The civil service structure at Federal Ministry of Petroleum Resources driven by the amiable Permanent Secretary, Dr. Folashade Yemi-Esan has been immense. To put this into context, some of our planning meetings have held on weekends and we have had the Honourable Minister of State and the Permanent Secretary sit through hours of details each time. The heads of the various agencies have also been exemplary to say the least. You get the sense that NIPS is indeed a national treasure that is here to stay. What advice do you have for individuals and organisations planning to attend this event? The key advice is for individuals and organisations planning to attend the event to move quickly to secure their spots at the event. For health and safety reasons, there is only so much we can fit into the space available and once we reach that capacity, it will become irresponsible to even think about taking on any more bookings. Our approach is not to view attendees as just customers. We like to see ourselves as their partners, helping to create the enabling environment for their voices to be heard and for their businesses to flourish. For example, there are companies attending NIPS 2019 who have not been to Nigeria before. These are the sort of stories we are helping to write.I stand to be corrected but we are the only event organisers (or certainly the first) on the continent to deploy a live exhibition booking system that allows exhibitors view the floor plan in real time, select their preferred booth location and book seamlessly. I will encourage everybody to visit the site today athttp://www.nigeriapetroleumsummit.com to confirm their attendance.